A funny, touching, thought-provoking novel, peopled with memorable characters and pulsing with ideas, from the inimitable author of Antonio S and the Mystery of Theodore Guzman and Hazel Green. Amelia Dee lives in the green house on Marburg Street, where a rare bronze lamp hangs outside her bedroom door. No one knows where it came from or how it got there. 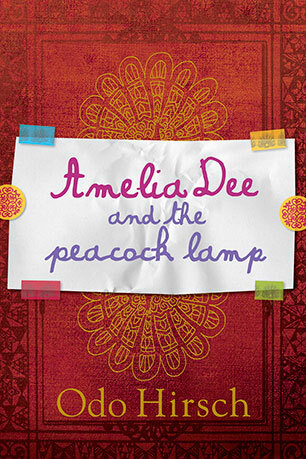 Only she, Amelia thinks, knows the secret that the lamp contains. Bu she's wrong. When Mr Vishwanath introduces Amelia to the Princess Parvin Kha-Douri, the puzzle of the lamp becomes even deeper. Where has the princess seen it before? Why is she so bitter and angry? And most importantly, what should Amelia do about it? In solving the mystery, Amelia risks revealing a secret of her own. Odo Hirsch is at his enchanting best in this funny, poignant story full of memorable characters and resonant ideas. Fans of Antonio S and Hazel Green will love Amelia Dee. Odo Hirsch was born in Australia where he studied medicine and worked as a doctor. He is now based in London. His books for children are favourites with young and old and have been translated into several languages.